Educators increasingly recognize the need to develop informed, globally-minded graduates. And as an educator, you are the greatest resource to empower your students to be global citizens. 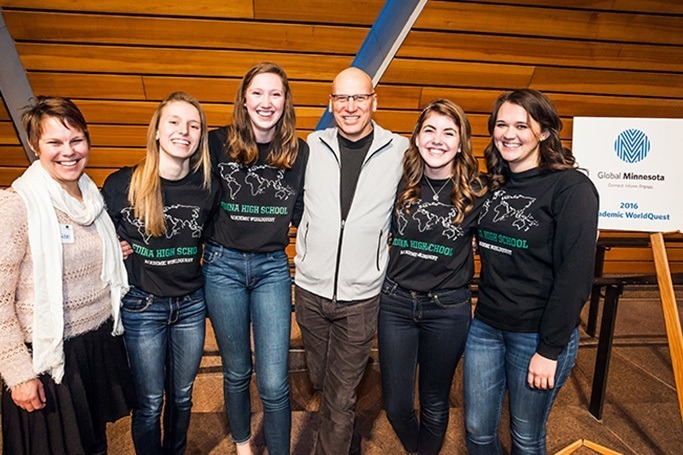 Global Minnesota’s innovative programs equip teachers and students with the cultural competencies necessary to bring this realization to life. The only international trivia competition of its kind in the state, Academic WorldQuest challenges high school students to think globally and quiz locally. Interactive and fun, this event offers a unique way to learn about critical issues facing the U.S. and the world. Education plays an important role in preparing students for the responsibilities of an ever-changing diverse and global society. Through our Great Decisions discussion program, which examines the most critical issues that will define the year ahead for global policymakers, teachers can take advantage of discounted prices on helpful materials and suggested lesson plans to bring critical global thinking skills to their students.